Below you fill find all funeral homes and cemeteries in or near Plains. 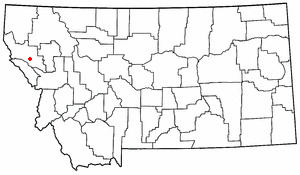 Plains is also known as: Sanders County / Plains town. Zip codes in the city: 59859. Sanders County funeral flowers can be purchased from one of the local funeral shops we partner with. Plains (Salish: ncc̓kʷi) is a town in Sanders County, Montana, United States. The population was 1,048 at the 2010 census. It was originally founded as Horse Plains and sometimes called Wild Horse Plains, as the local Indians would winter their horses here to feed on the grasses in the valley. The name was later shortened to Plains when the US Postal Service established a presence in 1905. It was reported by Baker City Herald on February 1st, 2019 that Carol Marie Smith (James) died in Baker City, Oregon. Ms. Smith was 83 years old and was born in Plains, MT. Send flowers to express your sorrow and honor Carol Marie's life. It was revealed by Tri-City Herald on April 19th, 2017 that Wyatt Wayne Cone perished in Prosser, Washington. Cone was 83 years old and was born in Plains, MT. Send flowers to share your condolences and honor Wyatt Wayne's life. It was disclosed on July 5th, 2015 that Garry Wardle died in Plains, Montana. Wardle was 77 years old and was born in Salt Lake City, UT. Send flowers to express your sorrow and honor Garry's life. It was disclosed by Tri-City Herald on February 25th, 2015 that Marvel Ann Albin (Albin) perished in Richland, Washington. Ms. Albin was 94 years old and was born in Plains, MT. Send flowers to express your sorrow and honor Marvel Ann's life. It was written on October 17th, 2014 that Robert Allen ?Bob? Neff passed away in Plains, Montana. Neff was 81 years old and was born in Pickardville, ND. Send flowers to share your condolences and honor Robert Allen ?Bob? 's life. It was revealed on October 1st, 2014 that Dorothy Mae Humphrey passed on in Plains, Montana. Humphrey was 92 years old and was born in Port Huron, MI. Send flowers to express your sympathy and honor Dorothy Mae's life. It was disclosed by The Mail Tribune on January 17th, 2014 that Myrtle Eudora Cosler (Letson) died in Oregon. Ms. Cosler was 96 years old and was born in Plains, MT. Send flowers to express your sorrow and honor Myrtle Eudora's life. It was reported by Tri-City Herald on January 10th, 2014 that Phyllis Corrinne Elder (Lynn) passed on in Richland, Washington. Ms. Elder was 95 years old and was born in Plains, MT. Send flowers to share your condolences and honor Phyllis Corrinne's life. It was revealed on August 2nd, 2011 that Leonard Bowen died in Plains, Montana. Bowen was 67 years old and was born in Randle, WA. Send flowers to share your condolences and honor Leonard's life. It was written on June 26th, 2011 that Edward Arthur Shedrock perished in Plains, Montana. Shedrock was 64 years old. Send flowers to share your condolences and honor Edward Arthur's life. Plains is a town in Sanders County, Montana County, Montana, United States. It was originally known as Wild Horse Plains, although the name was shortened over time. The population was 1,126 at the 2000 United States Census census. . .
Work alone can no longer sustain the average American family," he wrote in The Plain Dealer in 1975 ... 14 grandchildren and seven great-grandchildren. Funeral: 10 a.m. Monday at St. Clement Catholic Church, 2022 Lincoln Ave., Lakewood. Mount Pisgah African Methodist Episcopal Zion Church is a plain-as-faith, short ... I couldn't believe there was no black funeral home." In some sense, there is also no black church. What is happening is best explained by Mr. Washington. Listing all funeral homes in Plains, Montana so you can easily send flowers to any location (same day delivery) or find any funeral service. Find BBB Accredited Funeral Services near Plains, MT - your guide to trusted Plains, MT Funeral Services, recommended and BBB Accredited businesses. We work with local florists and flower shops to offer same day delivery. You will find budget sympathy flowers in Plains here. Our funeral flowers are cheap in price but not in value.